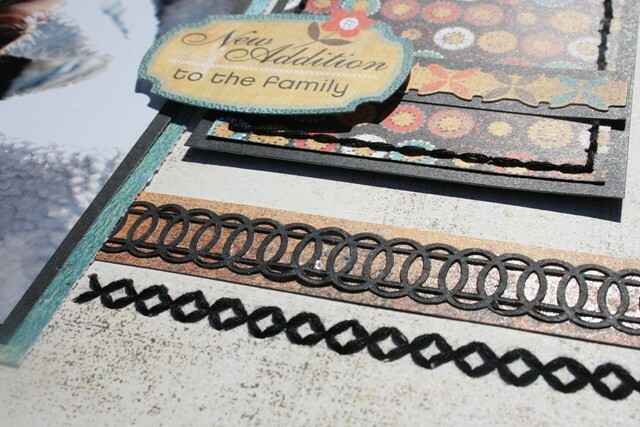 If you like to add stitching to your pages then this is the week for you to visit the Sketch Support site. The entire week is dedicated to stitching. 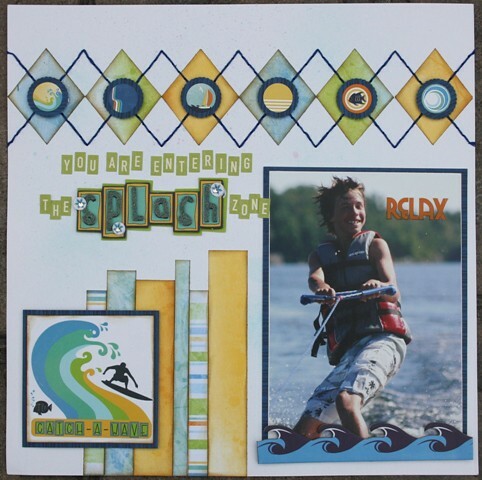 Today they are talking about accenting a die-cut! 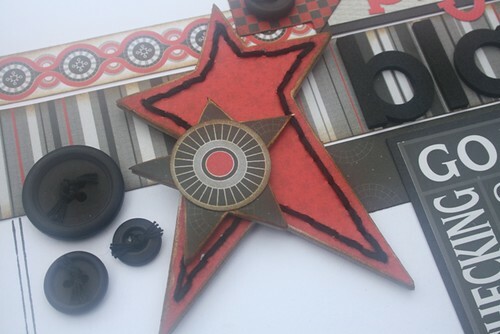 I created this layout and I accented the chipboard stars with black stitching. 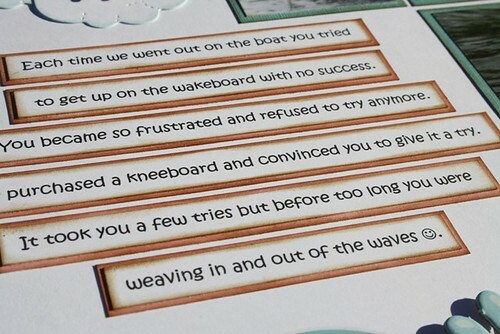 I treated the chipboard like any other die-cut. My only advice is to be sure to pierce your holes very well so that you needle goes through the chipboard easily. Otherwise you end up with really sore fingers. 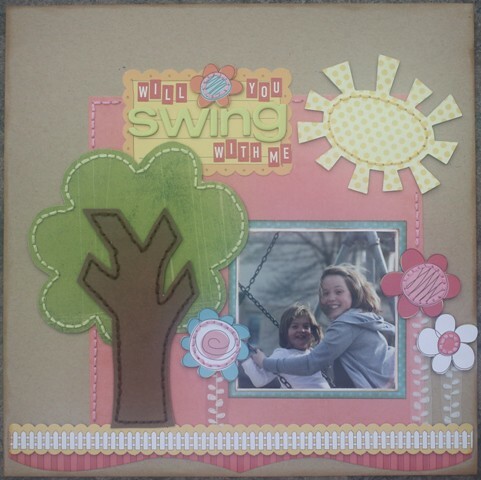 On this layout I did quite a bit of accenting on my die-cuts. I love, love this tree! I downloaded the cut-out a long time ago and don't even know where I got it. I have saved the template to use over again. I stitched around the brown and the green using coordinating floss! 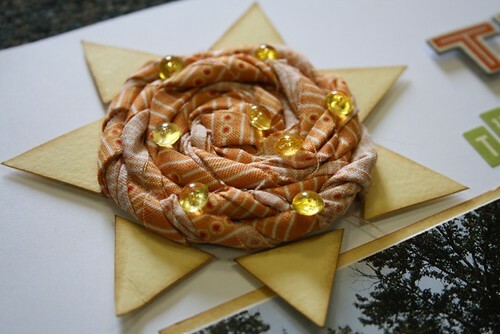 I cut the sun using my Cricut (Doodlecharms, I think) and then added the stitching to the center. 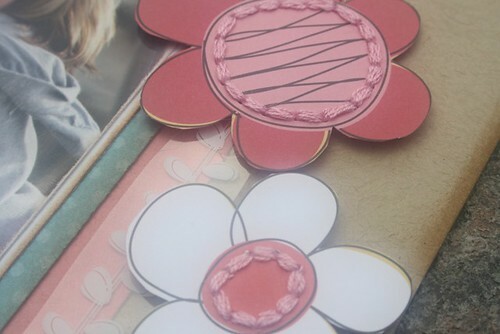 I added stitching to the centers of each flower in matching colours. 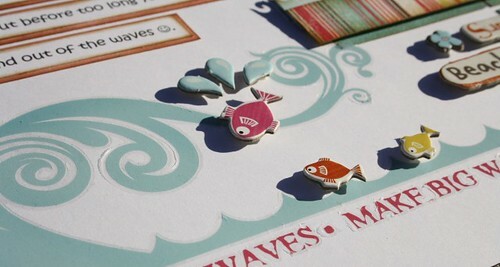 I love how stitching takes a simple die-cut and turns it into something 3-dimensional. Give it a try! This week at Sketch Support they are dedicating the week to stitching. 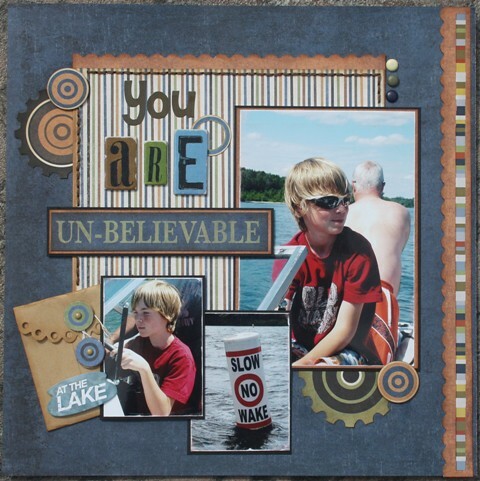 Each day there will be a different technique highlighted and the creative team has samples to share. 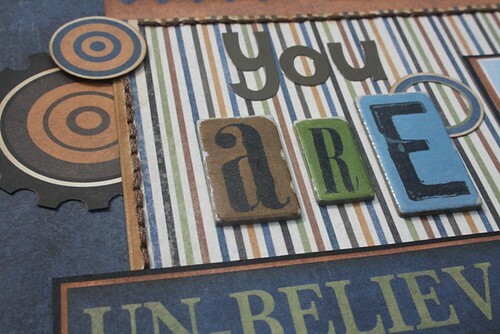 I will be doing a post here on my blog to show you what I have created for each segment. Today is simple borders and lines. 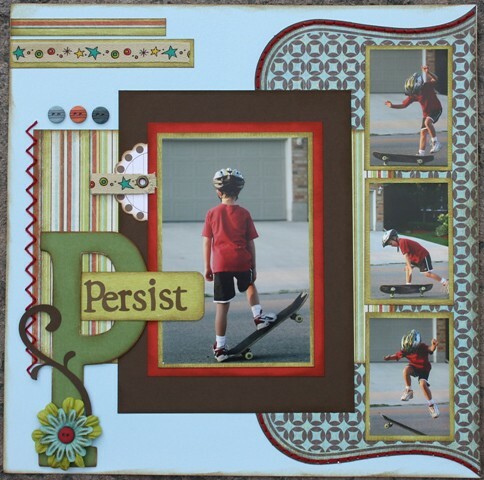 I created this layout awhile back using one of the product challenge kits from Two Scrapbook Friends. I used red floss and followed the outline of the die-cut background using a straight stitch. 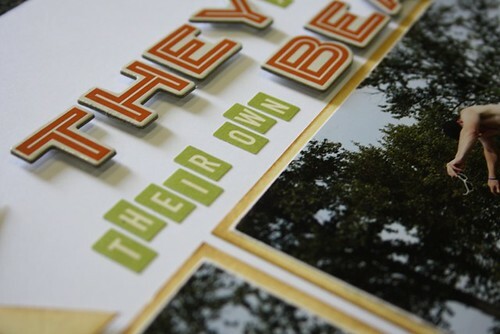 This really pops the die-cut off the page and creates a little dimension. 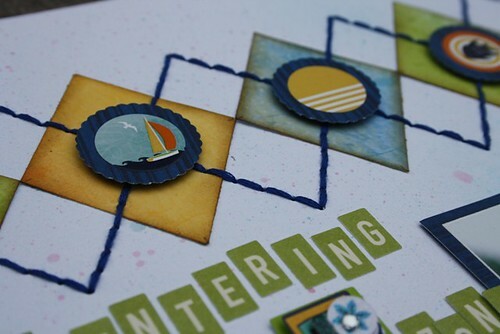 I also added a zig-zag stitch along the striped pattern paper as an embellishment. 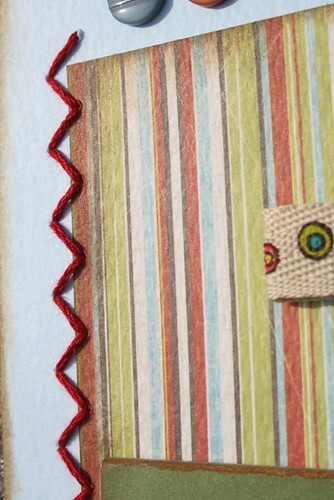 On this layout I did a straight stitch and created a border along the inside edge of the striped background paper. It created another layer on my page and defined the paper at the same time. 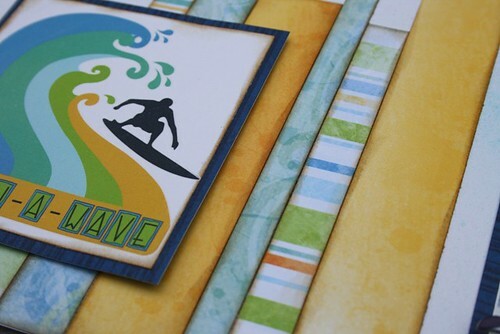 Be sure to stop over to the Sketch Support site and check out what the creative team has submitted and get some tips and tricks on borders and straight lines. I have been 'soup spotted' again! 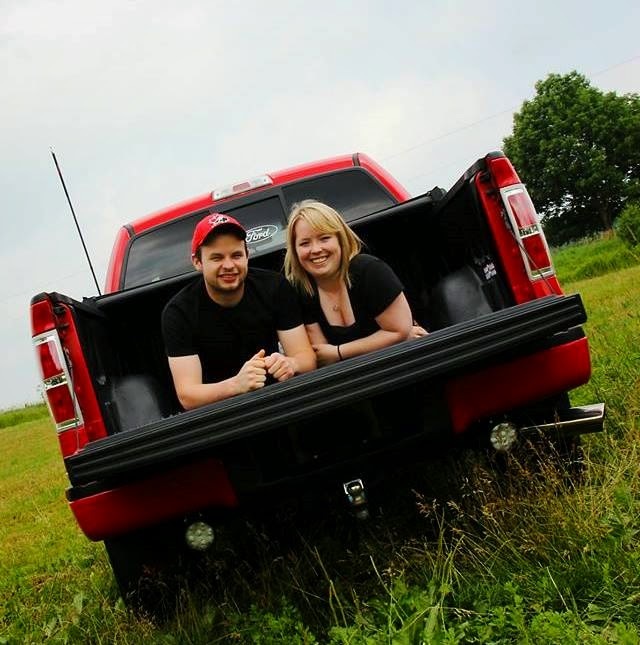 I am so excited to be featured over at the Jillibean Soup blog! I have to point out something that I find rather humorous. 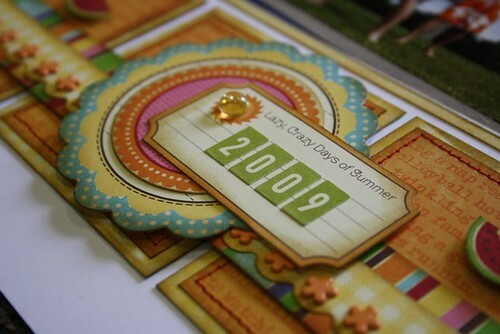 Recently I was published in the Canadian Scrapbooker magazine. The layout featured one of my favourite people.....David. 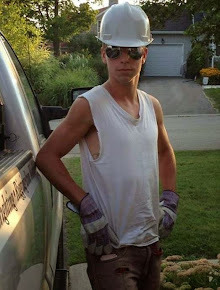 For those of you who don't know, he is Jason's best friend. We refer to him as our 'adopted' son. I was very excited to be published in the magazine, but found it sort of funny that the layout didn't have any of my kids on it. If you look closely at the layout above...........surprise.........there is David again and he is with Jake...........and my kids are nowhere to be found (well actually they were in the boat, laughing at these two clowns). So does this mean that in order to have one of my pages highlighted or published I have to keep my kids off of them? I sure hope not. Today I am being featured over on the Sketch Support blog for their 1-page sketch. You can visit their blog to download and print the sketch for yourself. 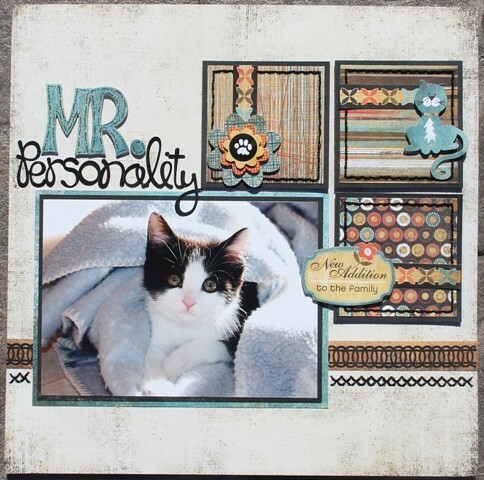 I pulled out the Max & Whiskers collection from Basic Grey and here is the layout that I created using this awesome sketch. Last month I featured Cooper on the one-page sketch and somehow he made it on to this months layout too! In this photo he is much younger but still full of personality (that is where the title came from). 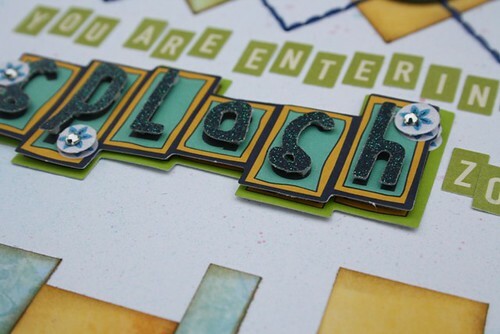 I used a combination of die-cut letters and Doodlebug alpha stickers. I added a border along the bottom of the sketch using a strip of paper and one of the lace doily borders that matches the collection. I also added a row of stitching and I used my Sew Easy tool to pierce the holes. Be sure to visit the Sketch Support to get your copy of the sketch and see what the other members of the creative team have been up to. Jay & David Hammin' It Up! We had such a great day around the Wolff household. Monty enjoyed a full day of working on his boat (nothing new really) and we all puttered about doing a little of this and a little of that. Amanda had to work a double shift at Swiss Chalet, so we didn't see very much of her (not so good). Jay and David were studying for their science exam and then decided they needed a break. They always put on a great show and I couldn't resist snapping a few photos. Last night a spent a couple of hours with Shelby (thanks girl!) and she showed me a few tricks with a new program that I have for my photos. 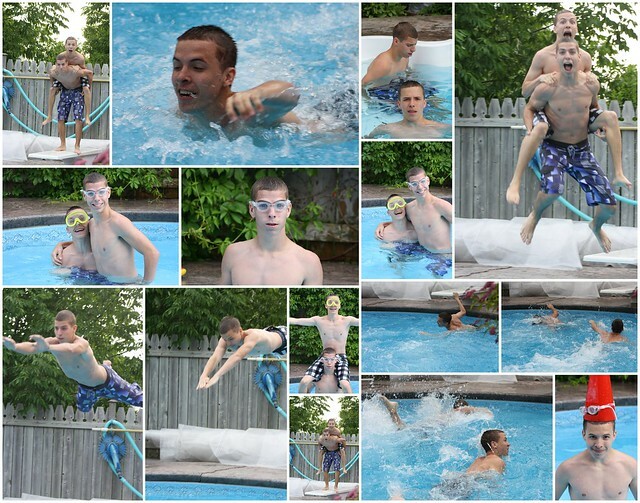 I created this collage with some of the pictures that I took. I love when I learn something new (I need to practice a little because some of the pictures are cut off). You Are Entering The Splashzone! This week is add-on sketch week at Sketch Support. This sketch really stumped me, but I am just thrilled with how it turned out! Here is the sketch! We had to make our own argyle pattern and incorporate it into something. Here is the layout that I made! 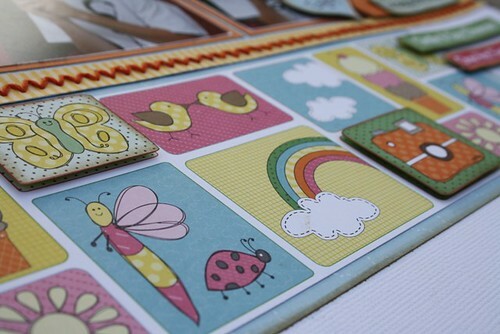 I used the new Barefoot & Bliss collection from Bo Bunny. 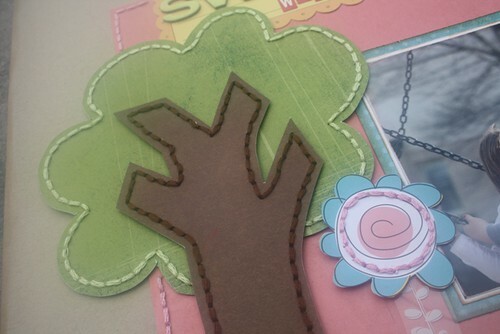 The sketch includes cutting instructions for the paper and how to place your stitching! I couldn't resist using the dimensional stickers. It worked perfectly for my title. 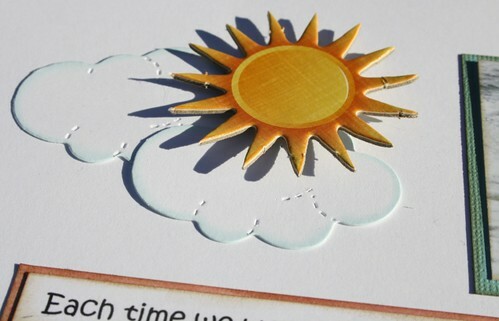 Simple strips of paper and a rub-on make a great embellishment for the page! Be sure to visit the Sketch Support site and download your own copy of this sketch. If you makes something with it, let me know........I would love to see it! 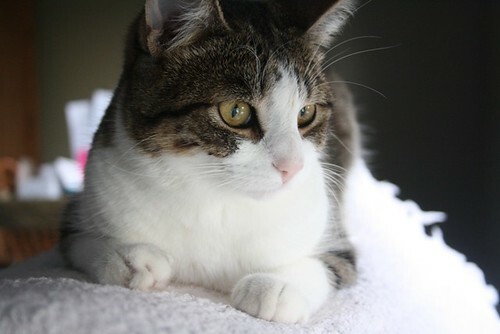 Last week we sent our youngest fuzzy friend to the vet to have her front claws removed. I have already been through it twice before with our other 2 cats and I have to say that it is not something that I look forward to. 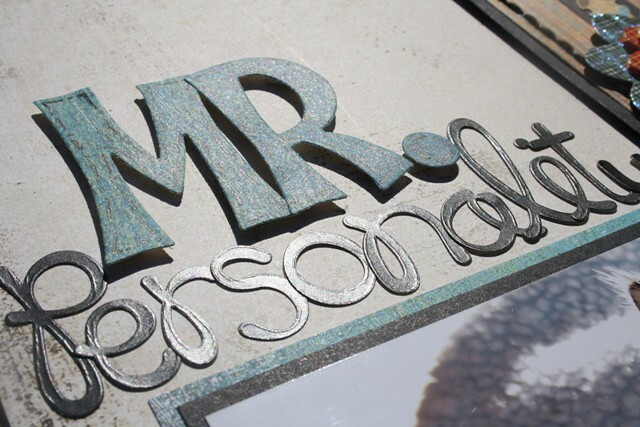 The procedure is quite invasive and it takes them a couple of weeks to recover. Here is Kitty resting in one of her favourite spots. Although it is painful for her, she is doing really well. Her spirits are good and she tries to play, but quickly realizes that resting is a better option. I am very glad that she will no longer be able to claw my hands, arms, leg........! 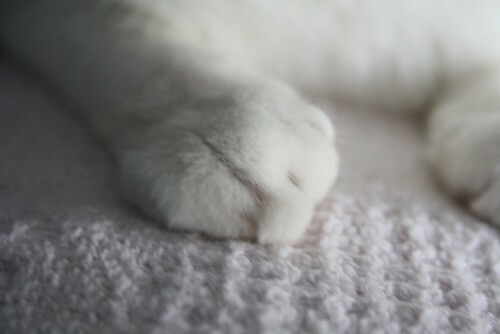 Those cute little paws are deadly weapons.......buy not anymore! I usually don't have much time to play along with any of the bonus sketches that Allison posts on the Sketch Support blog but when I saw the sketch that had 19 photos on it, I just had to give it a try. 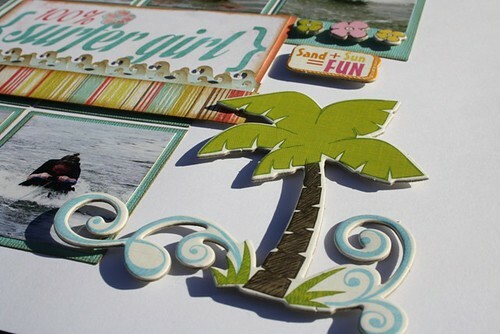 I used some of the chipboard elements from the Beach Babe collection from Fancy Pants! The clouds were left over from a product challenge class. I was putting them on a white background so I inked the edges to make the stand out. I just loved this palm tree. Even though we were not in a tropical place, it really tied the theme together. 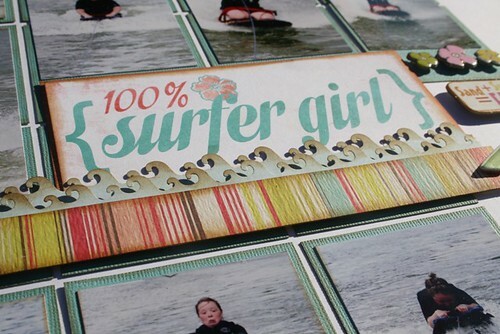 I used my wave border punch to create the accents for my title. I made sure I added journaling so my page was 100% compelete. If you give this sketch a try, let me know! I would love to see what you do. 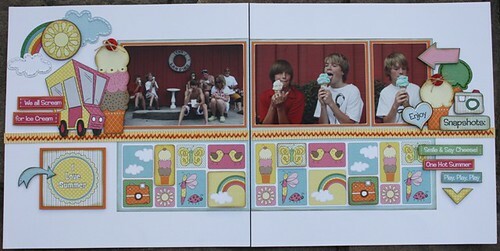 I love summer and all the photo opportunities that it brings. My camera is never very far from me and I have it snapping whenever I can. 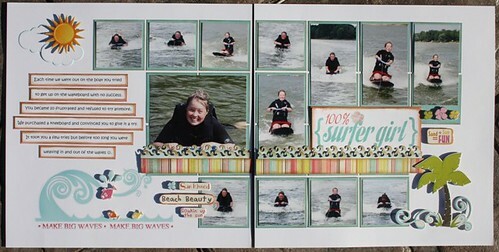 Being part of the Sketch Support team has given me the opportunity to scrapbook again. I have a deadline each week and it forces me to make the time to create for myself. 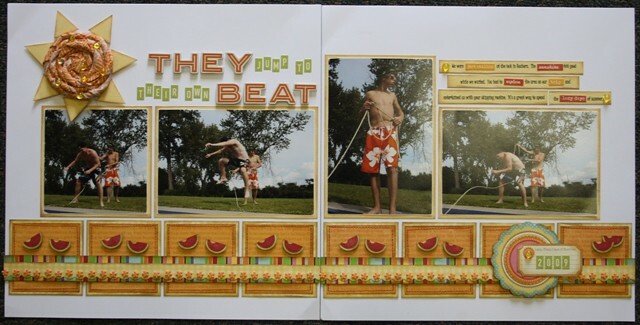 This week it is 2-page sketch week (my favourite) and I dug through my photos from 2 summers ago to create this page. Here is the sketch that I used. You can visit the Sketch Support site and download your own copy. I chose the Nikki Sivils Summer collection. 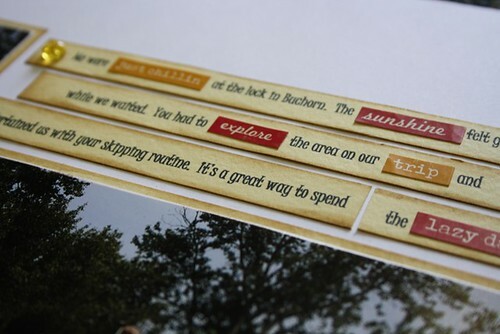 I love this line and all the sweet cut-outs that come with it. Putting this page together was a breeze. Along the bottom of the sketch it shows to use different paper strips. I found that this pattern paper did all the work for me. I cut out extra pieces and popped them up to add some more interest. 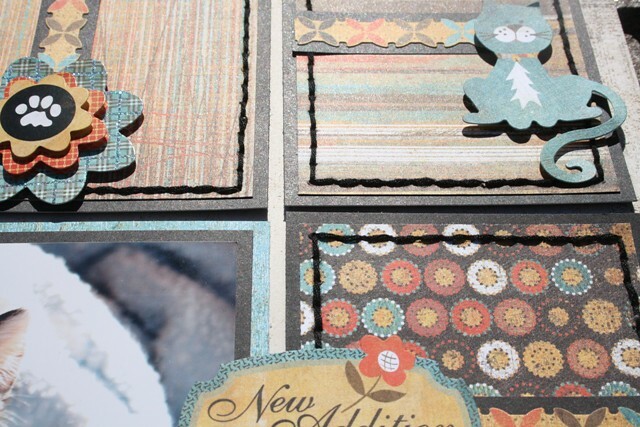 I loved the cut-outs that came with this collection and overlapped them to make some embellishment clusters on my layout. 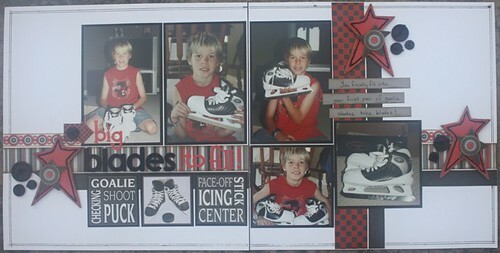 They tied in with my photos perfectly! I added a couple of buttons and some stitching to complete my layout. 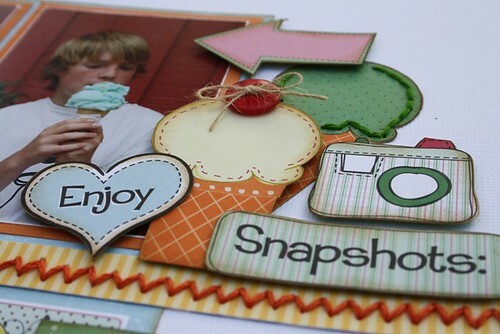 You can check out all these great products on the Two Scrapbook Friends online store. If you create something fun with the sketch, let me know! I would love to see it. They Jump To Their Own Beat! Being part of the team at Sketch Support has been such a wonderful experience. Each week I am challenged as I put together my project for the sketch. Every month there is a card sketch, and so far I have followed along and created a card. 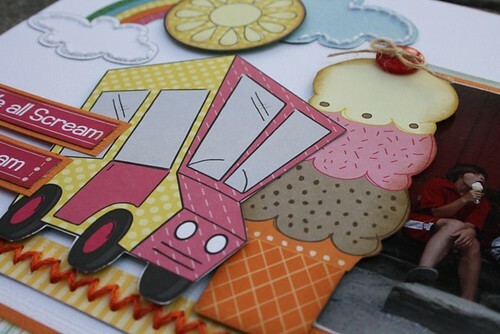 I am not much of a card maker.....I much prefer making layouts. This is the layout that I created for this weeks CARD sketch. 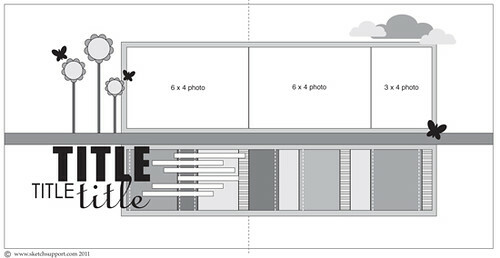 That is right, I made a layout from a card sketch. Here is the sketch that we received. 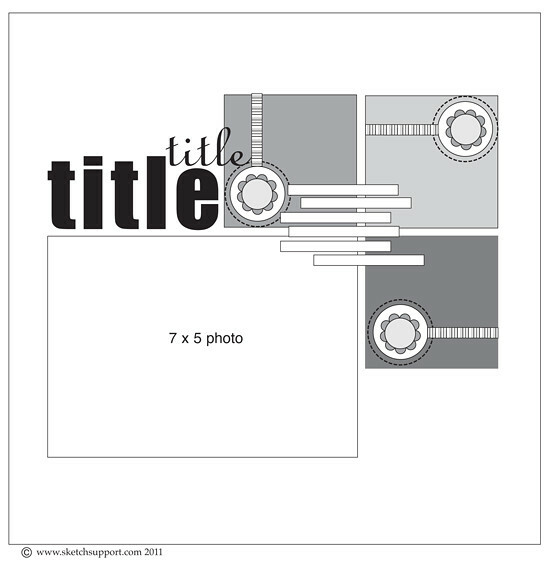 The card sketch inspired me to create this border along the bottom of my layout. 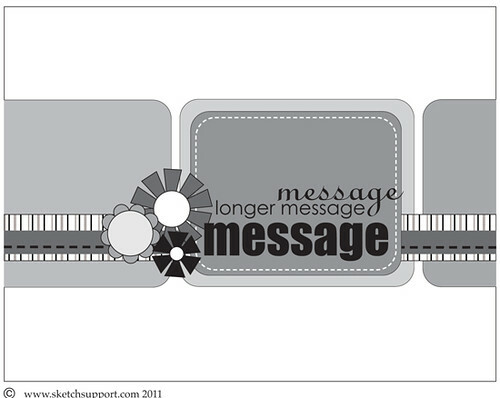 I used some journal sprouts and die-cuts to create the message area shown in the sketch. I used Thickers and mini alpha stickers to create my title! I incorporated some word stickers into my journaling. 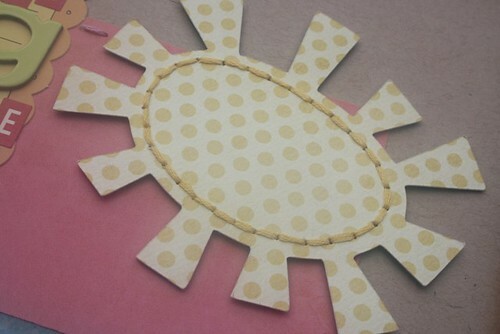 My favourite part of my layout is the sun that I made using a Gluber from Cosmo Cricket.